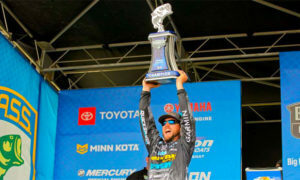 If you haven’t read Greg Hackney’s column on his day 1 DQ at Cayuga, do that first. Then ask yourself that question: Was it fatal? In other words: Was that mistake bad enough to kill his season? Before you read what I’m going to say, know that I am not doing the interwebz blame thing. Not blaming anyone for anything no how. So don’t read anything thataway. Also not going to say what Hack (or Trip) coulda, woulda, shoulda done. This also isn’t a defense of Hackney cuz I don’t do that and he doesn’t need it. So back to Hack’s column: Glad he wrote it. Wouldn’t doubt that it got sanitized a little cuz Hack ain’t shy about saying stuff, but whatever — main points are there, and I’m a-gonna highlight some of ’em. > B.A.S.S. officials gave us a big package of maps for Cayuga and for the Niagara River at the same time. It was half confusing, to me anyway. Maybe I didnâ€™t look at them as carefully as I should have but I still feel like the punishment didnâ€™t fit the crime. > I did have maps marking them. Thereâ€™s no doubt about that. But, they really didnâ€™t show what they looked like on the water. The only way I would have known that was if I rode around the lake and physically boated past each one. Of course Hack can read maps. But seriously — maps?? We have more technology in boats than the friggin’ Starship Enterprise and the guys are getting paper maps??? Yep they all know how to read maps, but what about a chip or a cloud download at the beginning of the season with the off-limits areas highlighted, marked, etc.? Is it really that hard to do? Answer: no — but so what if it was: The Elites collectively are one of B.A.S.S.’s biggest customers, so…. > I also feel the details about all rules violations, and the punishment, should be made public. We have no idea whatâ€™s been done in the past in similar situations, or why. That should all be public. Anyone should be able to look at it and review it. Preach it brutha! Did it back in the day at Bassin’Fan, and I’ve told B.A.S.S. 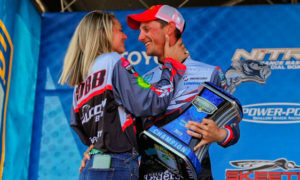 for years that they should report on all punishments handed out to their anglers — DQs or whatever — like NASCAR does but better. They cover the snot out of every other thing in a tournament so what’s one more thing — which incidentally would get them a bunch more eyeballs on the website? Plus the fans (and other Elites) deserve to know instead of just waiting on the 100% unreliable old-lady bassin’ grapevine. 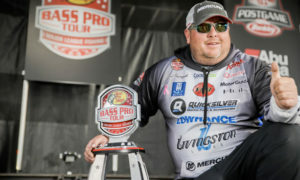 Here’s the deal: Rules violations are as much a part of tournaments as anything else that happens on the water. They’re not a huge deal, they just are. This whole “oh my gosh a violation!” rules thing got screwy back when ESPN didn’t know what it was doing and one (or two) of the prior FLW regimes was so paranoid about the Wally-Mart relationship that they buried rule violations in some dump in Minneapolis. Let’s get over it already. Another way to say it: Does it make any kind of sense that Hackney is the one who wrote the story on his own violation?? Following are examples of unacceptable behavior by competitors in B.A.S.S. events that will be cause for penalties as outlined in this document. > Displays of anger and displeasure for reasons related to fishing competition where members of the public, including other anglers, spectators and the media, are present. > Publicly questioning or criticizing a tournament official or official decision, ruling or penalty except through the proper channels. 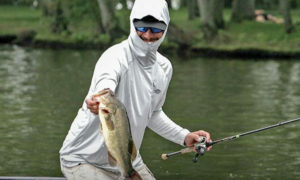 Does that mean Hack writing about it on Bassmaster.com — where the B.A.S.S. folks can see it before anyone else does — is a “proper channel” but other places aren’t? 3. We testing or what? > B.A.S.S. determined there was a rules violation. That was absolutely true. But then I was told it couldnâ€™t just be a fine because what I did created a competitive advantage to me. I disagree. If Iâ€™d kept the fish, that would have been right. But I didnâ€™t keep the fish. I culled it. So I didnâ€™t get any benefit from being in the off-limits area. 1. Automatically test the winner. 2. If he fails, polygraph the next guy, and so on. That’s it. That was the decision we made when we put on tourneys because there’s no sense in testing anyone else. Did the winner fish honestly to win? You can build airtight questions around that — IF the rules are easy to understand, and I’ll get there in a minute. But bottom line — you can build yes/no questions around that with pretty much no grey areas. Random polys and whatever — what are you testing for? What’s the point? What are the potential positive outcomes vs the negative ones (for ex, Luke Clausen)? If you’re going to use a test, use it for major things that have cut-and-dried answers. Like Hack’s situation. Did you know you were in an off-limits area? (Yes/no.) Did you catch 1 fish there — or 2 fish, etc. (Yes/no.) Did you weigh any of those fish? (Yes/no.). With an AOY win on the line, you’re dang right it shoulda been used (one guy’s opinion) — especially if there was no bad intent (defined in the question about whether he knew he was in an OL area). 4. 100 shades of grey. Tournament waters shall be established by the Tournament Director for each tournament. Each competitor must obtain this information from the B.A.S.S. Tournament Department. 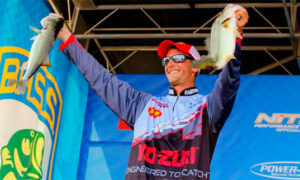 Any water within these boundaries posted â€œOff-Limitsâ€ or â€œNo Fishingâ€ by state or federal agencies as well as the live-bass-release area established by the Tournament Director will be off-limits and will be announced at the Tournament Briefing. (a) Reduction of competition hours as determined by the Tournament Director. (b) Loss of one or more fish caught in potential violation of rules or regulations. All bass under question must be marked and verified by your Marshal/camera operator. If not verified the entire catch may be disqualified. (c) Loss of catch for the day of the violation. (d) Disqualification from the tournament in question. (e) Disqualification from future B.A.S.S. events, which may be from a specific number of events or for a specific period of time up to or including a lifetime disqualification. 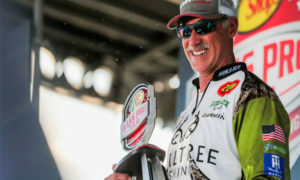 (f) Any different or additional penalties determined by the Tournament Director including, but not limited to monetary fines and/or reduction of Angler of the Year points. So according to that, Hackney’s mistake of minutes of fishing then one fish caught/culled was right in the middle of the punishment spectrum. Right or wrong I’ll leave up to you. Any contestant accused in writing of violating the off-limits rule to tournament officials must pass a truth verification test relevant to the charges. Accusers may be required to take a truth verification test. Failure to pass the truth verification test may result in disqualification from the tournament. 1. The ACCUSER may have to take a poly too, and I believe only in this instance. 2. If the accused fails the poly, he MAY get a DQ. 3. I believe this is the closest B.A.S.S. gets to giving a specific punishment for a violation. My point: Still a lot of grey. 5. We be needin’ some fixes. > We should also have a set of standard punishments for certain violations with the committee having the authority to decrease or increase them depending upon the circumstances. Things like intent, effect on the outcome of a tournament and prior violations should all count for or against the guy who broke a rule. > There is an appeals process now, but itâ€™s nothing like what Iâ€™m describing. Change happens when there’s motivation to make it. Motivation could be this case with Hackney (an AOY leader), or Hackney’s and Clausen’s cases, etc. 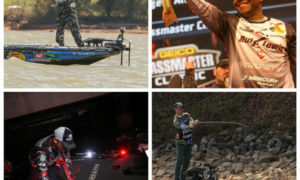 It could be all the Elite anglers — which like I said account for a large chunk of B.A.S.S.’s revenue — telling B.A.S.S. to fix stuff or else. Tough to get that many cats herded in one direction, but could happen. 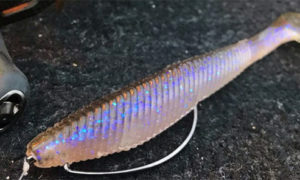 Could be a lawsuit from an angler. Not the greatest thing to happen — mostly because of the cost, the lawyers and the posturing — but I’d understand it. Or B.A.S.S could simply want to do it, and take the lead — hopefully they do. 1. B.A.S.S. is the best and most highly regulated bassin’ derby organization on the planet. 2. Trip is the best TD on the planet — that I’m aware of, anyway. He’s so fair he could never be elected to the Supreme Court…. 3. Usually the only thing tougher than violating a rule is having to report it. That’s a dynamic we’re all used to in bassin’, but it’s weird in sports. 4. Rules docs grow and expand as the games they regulate grow and expand. B.A.S.S.’s rules have done the same and should keep on doing it. Hate that Hack, Clausen and several other guys are the guinea pigs, but I guess someone has to be. > If competitors admit to a rules violation, they may not file an appeal of either the finding that they have violated the rules or the penalty imposed for the violation. Seems pretty clear to me. Am I missing something?